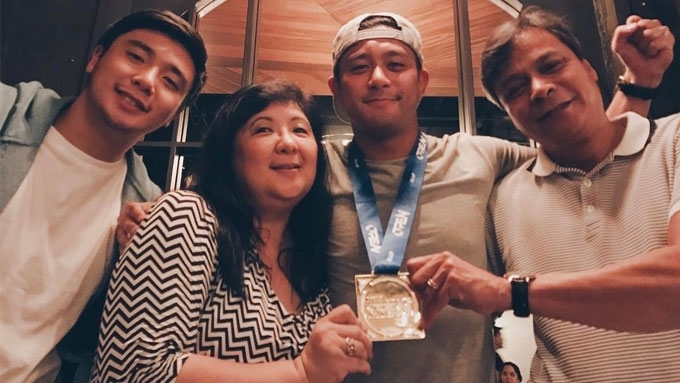 Rocco to his mom: \"You are the solid rock of this family\"
One thing Rocco Nacino is most thankful about is his mom Linda's second chance at life. It was in 1999 when the actor's family discovered her breast cancer, which underwent five years of oral chemotherapy, radiation, and surgery. The Nacino family, which was residing in Singapore at the time, decided to go back to the Philippines. But with the power of prayers, Mommy Linda won her fight against cancer. Looking back, Rocco told PEP.ph (Philippine Entertainment Portal) during his visit to Summit Media office, last April 27, 2017, how the ordeal changed the way he sees life. "Her whole trail going through cancer, beating cancer, it gave me a different look in life. "It showed me how beautiful life is, and how we should always appreciate every single day. "Now, I always wake up early, and I make sure I do every thing I wanna do in a day kasi gusto ko talaga sulitin ang buhay. "Naiinis ako kapag di ko nagagawa yung gusto kong gawin, ayaw kong sayangin ang kada araw, and I make sure I spend it with my family as much as I can." For Mommy Linda's part, she has devoted her time reaching out to cancer patients. In fact, it has been their tradition to hold a charity event when celebrating each of the family member's birthday. When Rocco turned 30 last March 28, 2017, he spent it at Kidzoona in Robinsons Galleria with Right Start Community Center for Underprivileged Kids. On the trait he got from his mom, Rocco said, "It was through her na build ko itong trait na to, always be a fighter no matter what brings you down, parang kayang-kaya mong bumangon at tumayo ulit." LETTER TO MOM. When asked to give Mommy Linda a message for mother's day, he became emotional. 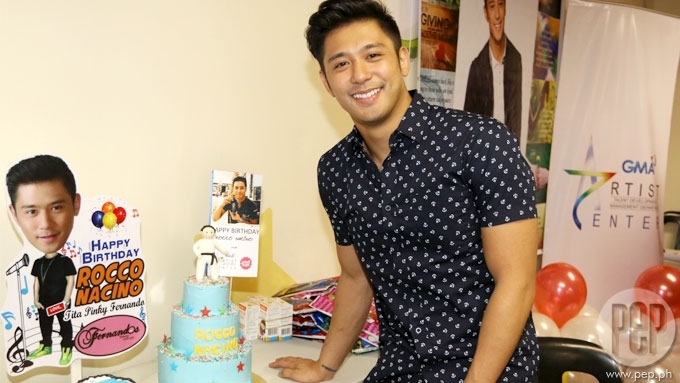 The Kapuso star said, "Hi, Mom! It's Mother's Day again and I just wanna say thank you, thank you so much for loving me. "And I know, minsan pasaway ako, makulit ako, matigas ulo, pero I just want you to know na mahal na mahal kita. "And every simple thing that you do for me, talagang ina-appreciate ko. "Thank you and from the bottom of my heart, I appreciate every thing that you do. "Me and Kyle, and I have to say that you are the solid rock of this family that we have. "And I'm very very happy to be part of this family. 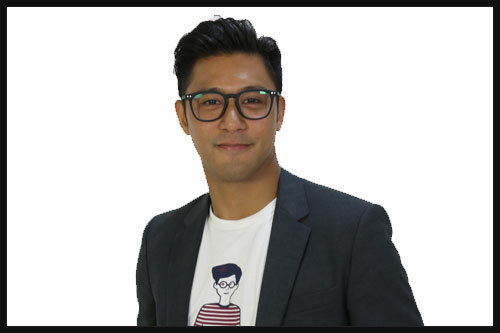 "Talagang inaalagaan mo ako, si Kyle, si Daddy. "I know we're going through a lot, so much with what's happening to the family, I just want you to know that I'll be here to keep you strong, and keep your hopes up. "I just wanna say I love you so much, and thank you for always believing in me, Mom. "I love you so much! Happy Mother's Day!" Rocco then explained that his family was "going through a lot" since their Nanay, aka their grandmother, passed away last May 2, 2017.